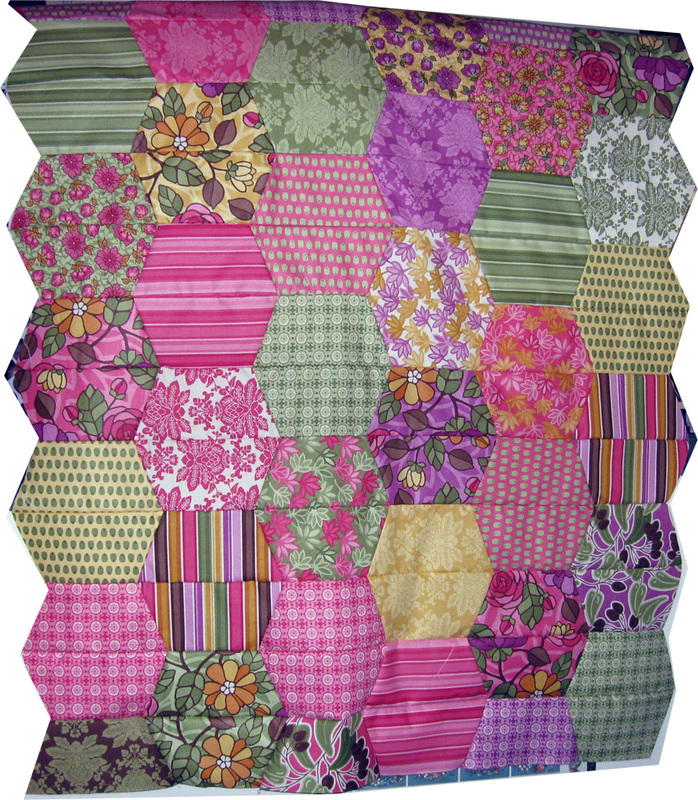 All Things Crafty: I'm Back - Santorini Lap Quilt and Celebrations!! Over the past week I've been busy celebrating and did manage to whip together a lap quilt top out of Moda Santorini layer cake based loosely on the Moda Bakeshop "Let your Imagination Bloom" pattern by Natalia Bonner. It's not finished just yet. I had to order more Santorini fabric to add applique flowers. 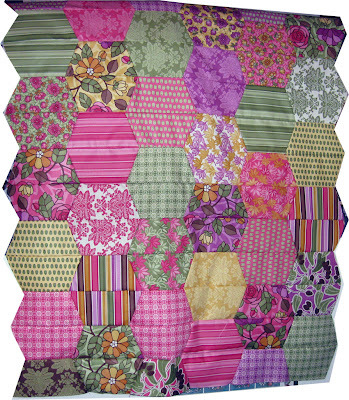 I won't be adding the text to the quilt and I'm going to use my AccuQuilt Go to cut out the flowers for the blocks. We've been celebrating because we have been blessed with a clean pet scan for my DH. I'm a little too private about things at times but, I would like to say that prayers are powerful to bring him from late stage to remission!! Put those prayers in combination with constant positive attitudes and great care and they together can go a long way!! Now, just tests every couple of months and continued prayers. Amen.